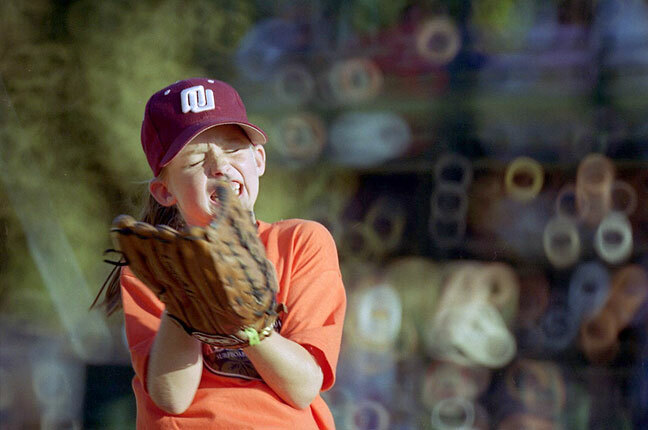 A young t-baller catches a fly in this image from the mid-1990s. Thanks to the characteristics of the mirror, or catadioptric, lens, the highlights in this image look like doughnuts. 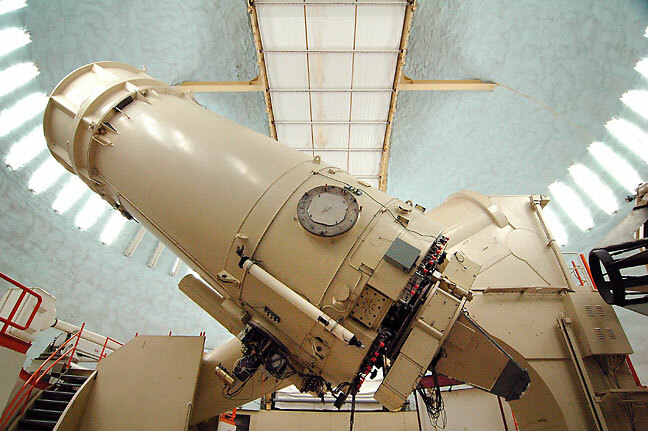 This is one of the optical telescopes at the McDonald Observatory in Texas. It uses the same method of folding the optical path as the Reflex-Nikkor 500mm does. The maximum aperture is small, typically around f/8, and because of the optical design is the only aperture available. Significant vignetting – darkening at the edges, so the f/8 is only f/8 in the center of the image, and the corners are more like f/16. The “bokeh,” or quality of the background, isn’t just ratty or ugly, it can be, in some circumstances, downright unacceptable. I found that in the years that I owned it, my 500mm sat at the bottom of a bag of “extra” lenses I kept in the trunk of my car, and I seldom got it out and used it. By 1997, I had the magnificent Nikkor 400mm f/3.5 ED-IF, which combined with a teleconverter to form a 560mm that was very sharp. 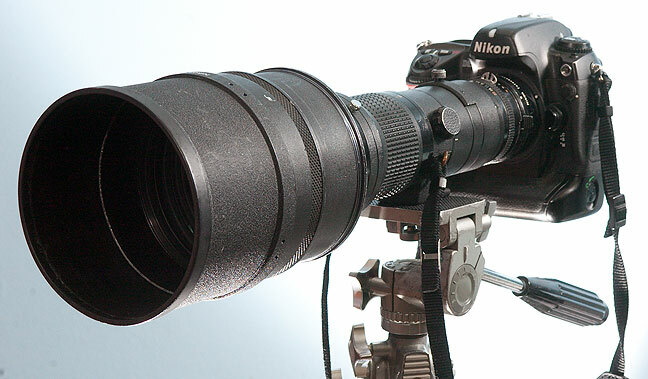 This is my Nikkor 400mm f/3.5 ED-IF, combined with a Nikon TC-14a teleconverter. I’ve had it since 1997. Even in the digital era, it creates super-sharp images with clean backgrounds. 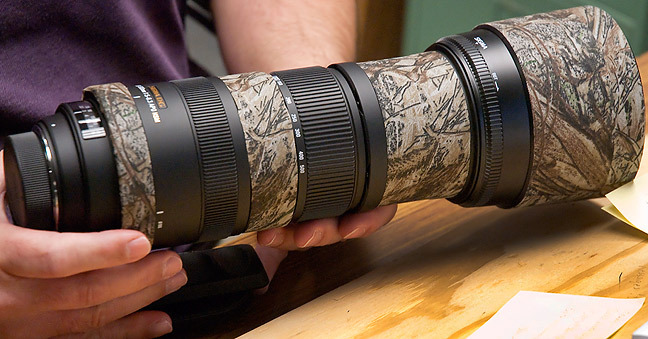 One of our reporters does a lot of nature photography on the side, including birds, and uses this Sigma 150-500mm f/3.5-6.3. It is quite superior to any mirror lens. The 500mm’s only trump card was that it weighed a third that of the 400mm. When I did make a point to shoot with it, results were quite disappointing. I’m surprised to see that nice versions of the 500mm are as much as $600 on eBay, which tells me it’s more of a fetish property. The bottom line: if someone gave me a Reflex-Nikkor 500mm f/8, I might play with it for a day or two, but in the end I think I’d give it back. 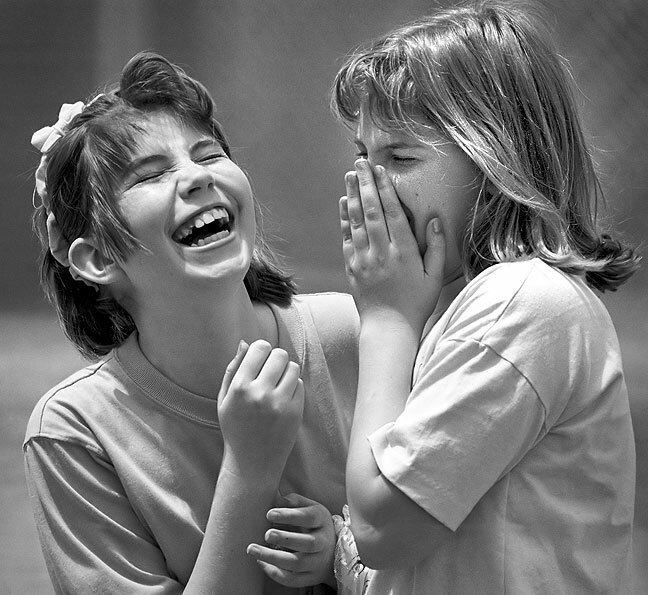 Years ago I used the 500mm f/8 to make this image of two girls playing at a local school. It was a bright day and the background was quite far off and not vey busy, making for a rare success with this catadioptric lens. I remember toying with the idea of a mirror lens, back when I was still new at digital photography and wanted an inexpensive telephoto… But I’m glad I didn’t pull the trigger on it. There actually have been a few variable aperture catadioptric mirror lenses. The most well known one was probably the Ohnar 300/5.6 Mirror (also sold under other names such as Hanimex, Makinon, Panagor, etc.) that was sold in the 1970s and early ’80s. It was a weird bird for sure. The variable aperture iris was at the front of the lens, just behind the corrector plate. It affected T-stop but didn’t really make much difference with regard to depth of field.